The Reebok ZR10 exercise bike offers the choice of 18 different workout programmes. The options include 12 pre-set routines, 1 manual programme, 1 HR control, 1 Watts and 1 user-defined. 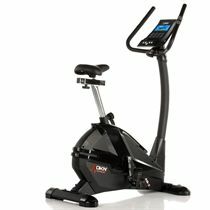 Additionally, the bike offers a recovery test and body fat test. 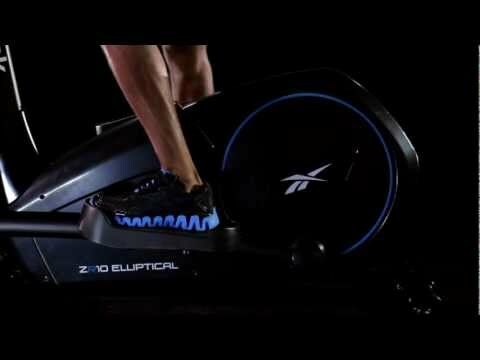 The user-defined mode allows for programming your own routine which includes individual resistance settings for different workout segments. It also enables setting the workout time. With the HR mode, the user can enter their age and select the workout at 55%, 75% or 90% of their maximum heart rate (the calculation is based on the user’s age). Alternatively, it is also possible to manually enter the desired number of beats per minute (bpm). The heart rate measurement is achieved with built-in hand pulse sensors. The recovery test enables evaluating individual fitness level. It is achieved by measuring the heart rate “recovery” over a 1-minute period. The result is presented on a six-point scale from OUTSTANDING to POOR. 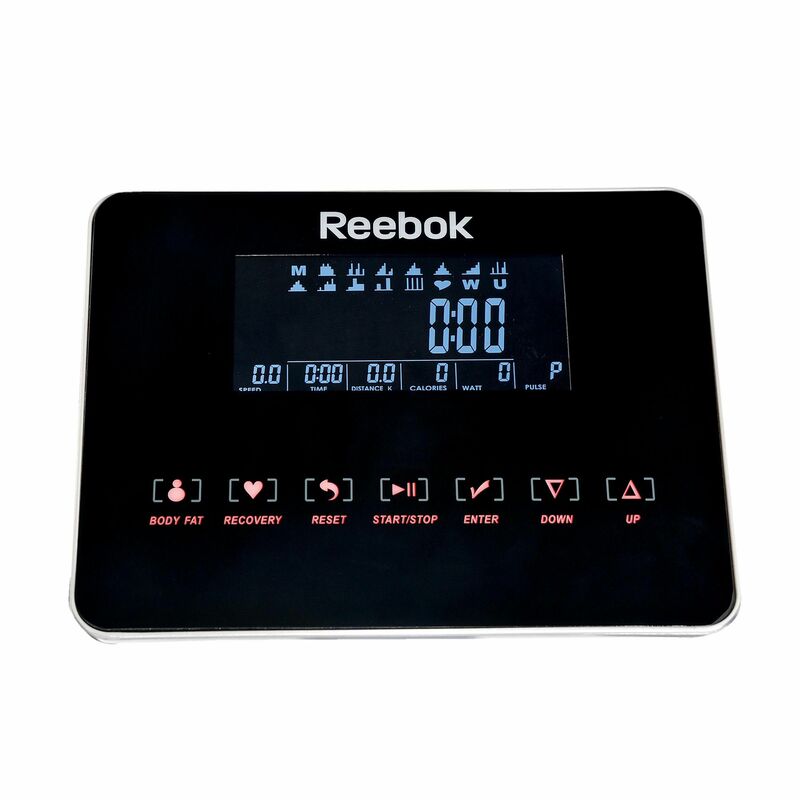 Body fat test measures the percentage of body fat with the use of hand pulse sensors which have to be held for 8 seconds in order to obtain the results. I ordered the ZR10 after having a cheaper bike at home and realising that it wasn't quite what I was looking for. It was delivered extremely quickly and was easy to put together. 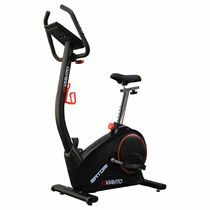 I wanted to use the bike mainly for the programmes and these are great, it is quiet and isn't too imposing in the living room and the seat is comfy. I would definitely recommend it, I am only not a serious cyclist so cannot say how it is on that front, but for keeping fit whilst watching tv it is perfect! Excellent bike not to difficult to put together,need a more comfortable seat.Brilliant service,brilliant price and next day delivery. 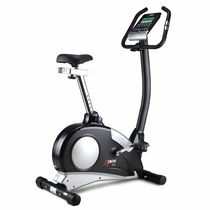 This is our second exercise bike. The electronic display on our last one failed. We are experienced cyclists and use an exercise bike to keep our fitness levels up during the winter when we don't get on the road as often as we'd like. Our last machine had a very smooth action and was 'all electronic' - so once the display failed, we couldn't adjust the resistance level. We never used any of the other programmes, pulse monitor etc, so we thought we'd buy a 'basic' model with cable controlled resistance. BIG mistake! We returned it to the retailer the same day, and researched the current crop of machines that is available. We opted for the Reebok ZR10 and Sweatband was the cheapest source. We ordered on Thursday night and it was in our local City Link depot on Saturday morning. We collected from there and had the machine assembled in about 25 minutes. The only fiddly bit is attaching the handlebars - don't over tighten the allen key or you won't be able to adjust them. We like the fact that the saddle mount has a proper 'pillar' so we can attach a proper bike saddle. We also fit shimano spd type pedals. Sweatband supplied natty 'foam' tiles so we can have the ZR10 on the carpet without marking it. Our first impressions of the machine are all positive. Very smooth action. The electronics all work as they should, although we prefer to use the machine in manual mode. The fore/aft saddle adjustment is great - something we didn't have on our previous machine. Assuming the machine is durable and reliable I don't see any reason why you should pay more for an exercise bike. Oh, and Sweatband were a pleasure to do business with. Sturdy and comfortable machine. No sound from the bike and it maintains a smooth rotation. Nice weight on flywheel. Just trying to operate how to change the km to mph on the console. Great Bike. Used manual workout then moved onto programmes (which there is a large range of). Silent, smooth well built piece of kit. 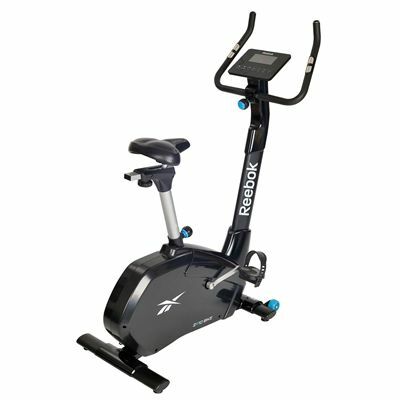 for submitting product review about Reebok ZR10 Exercise Bike.